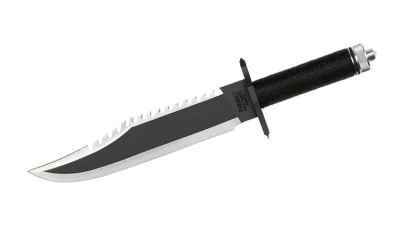 We have seen some very nice licensed Rambo knives in the past but this newest series finally got everything right. They have corrected previous mistakes by ensuring even the smallest details are accurate to the movie pieces. 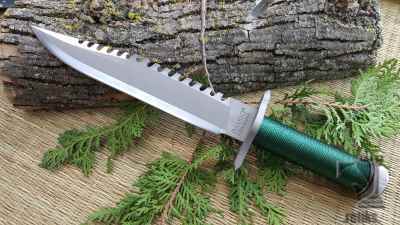 One of the most notable corrections is on the First Blood Knife. 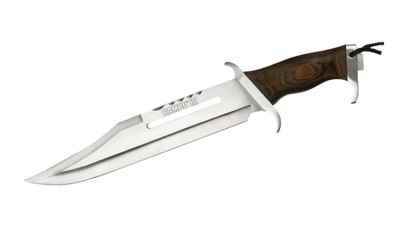 The previous edition collector pieces featured 12 serrated teeth on the blades spine which in the movie First Blood shows 14. This and other small changes correcting sizing and shaping making these identical to the one's carried by Sylvester Stallone. 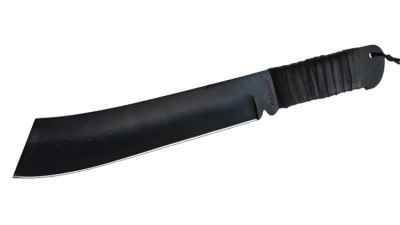 These are the most accurate and highest quality licensed Rambo knives ever made. We are proud to present the Rambo knives Masterpiece Collection�, the finest Officially Licensed Rambo knives ever produced.